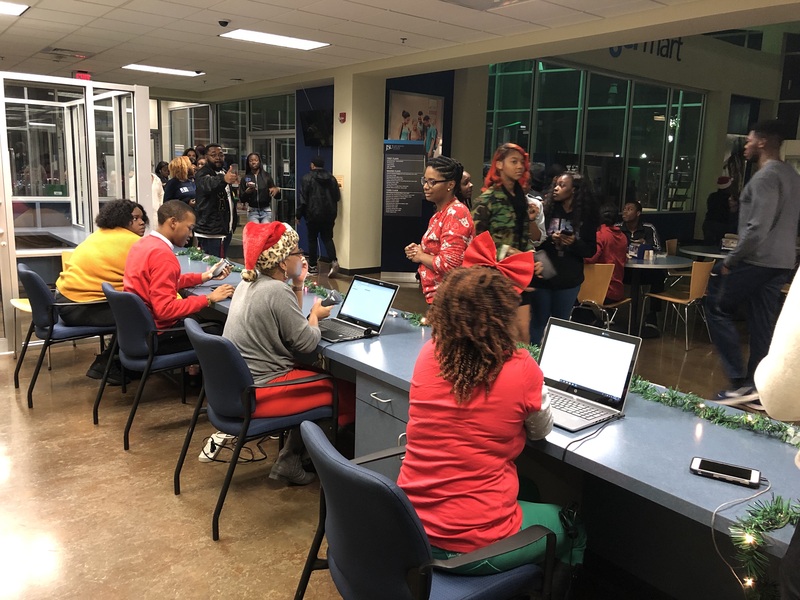 More than 1,000 students assembled inside the Student Center on Friday night for the third annual Midnight Breakfast by the Campus Activities Board that included a holiday party loaded with food and entertainment ahead of Finals Week. 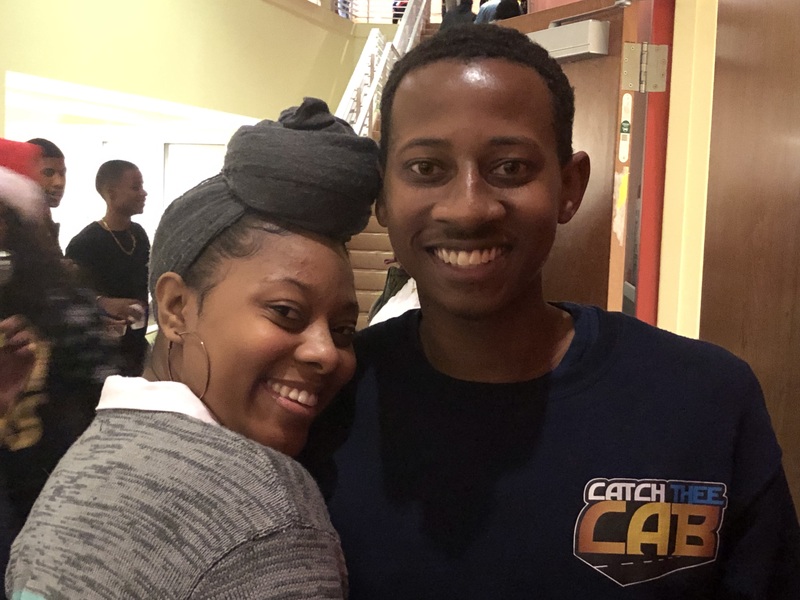 Michael Ware II is a senior sociology major and president of the campus board under the Division of Student Affairs. 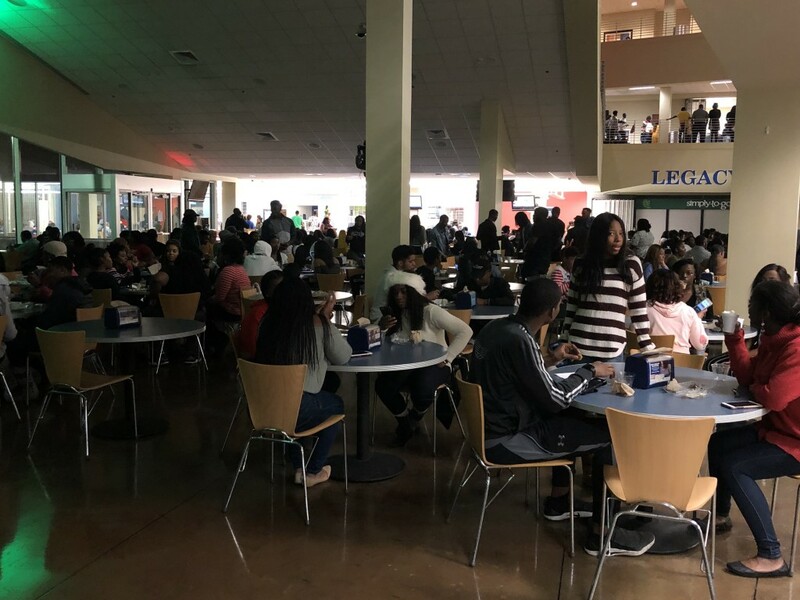 He said the event left him “overjoyed with happiness and excitement” as he watched students indulge in the festivities. “December is usually the favorite time of the year for many people. 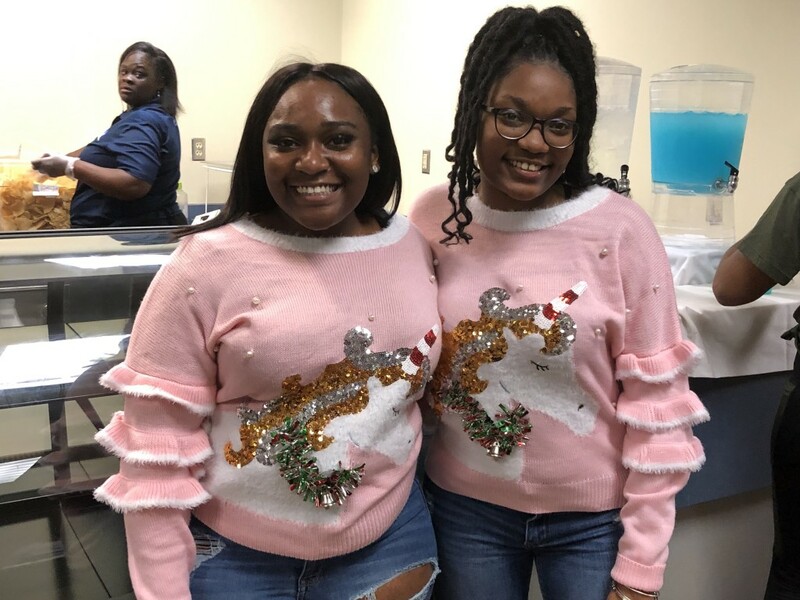 So, we wanted to embrace students and give them a last engagement right before finals to send them off for the holidays,” he said. Ware said his wish for the holiday season is for everyone to be happy and spread joy all over. He said he plans to spend some holiday time in Mississippi and the rest of the time will be with family in his hometown of Tulsa, Oklahoma. 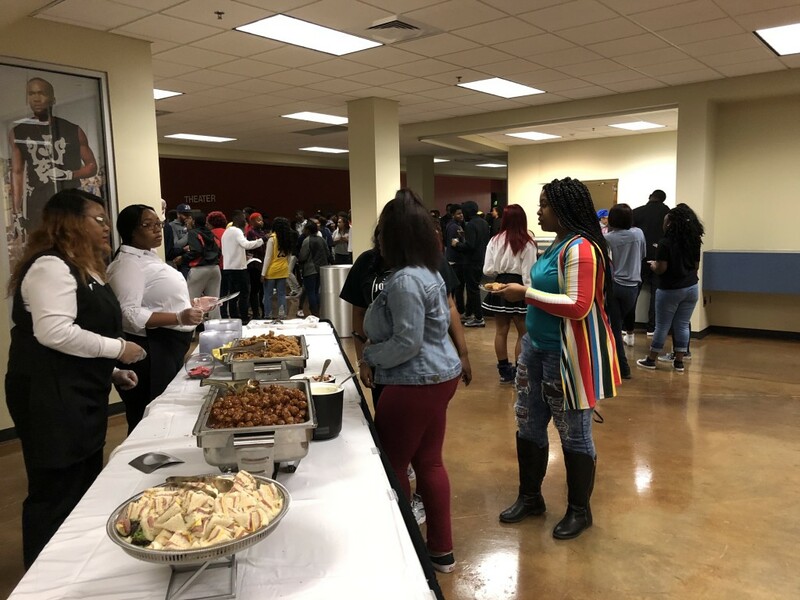 Porshia Shelton, a senior studying business management, volunteered to help usher in students for the event. She seemed excited to be part of the soiree. 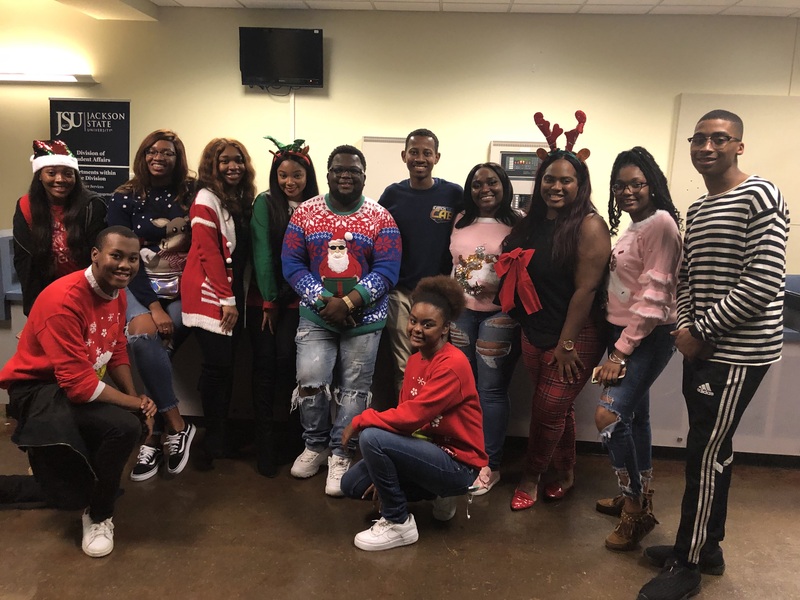 “Midnight Breakfast is a very fun gathering where you wear ugly sweaters and interact with your fellow Jacksonians. It’s very fun. Who wants to miss a free Christmas party?” Shelton asked rhetorically. 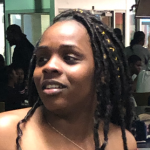 Student Government Association president La’Curtis Powell, a senior criminal justice major from Jackson, echoed her sentiments. Another student, Bethany Boston, attended the affair also. 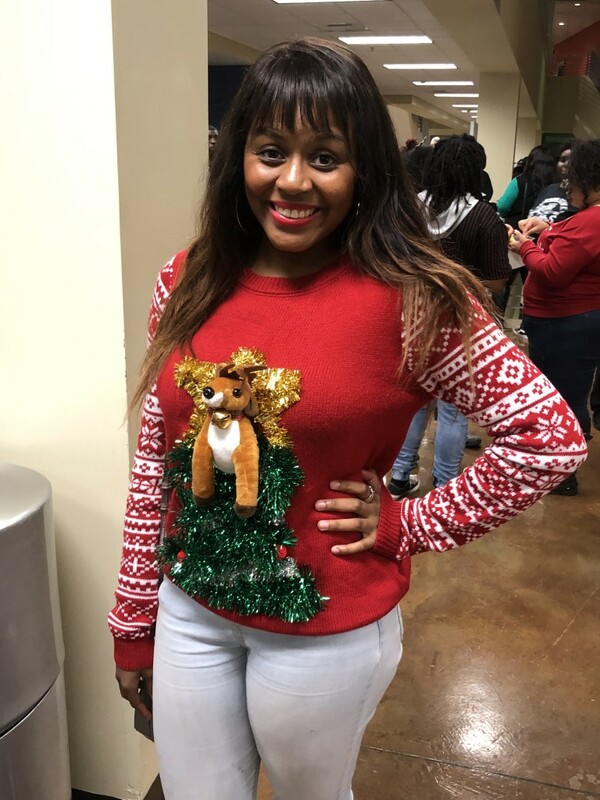 She was spotted wearing an “ugly” sweater. 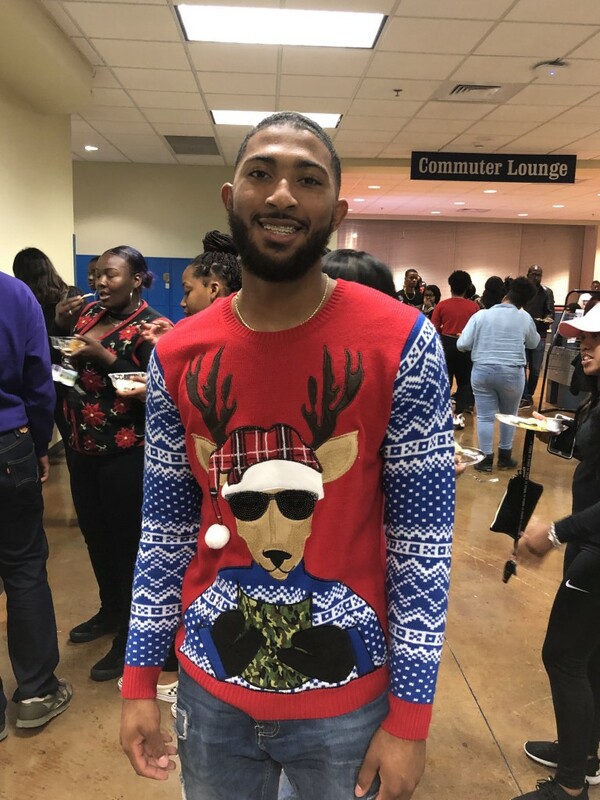 Besides Boston, a good number of other students donned ugly sweaters, too. Jared Keyes, majoring in biology/pre-medicine and reigning as Mr. 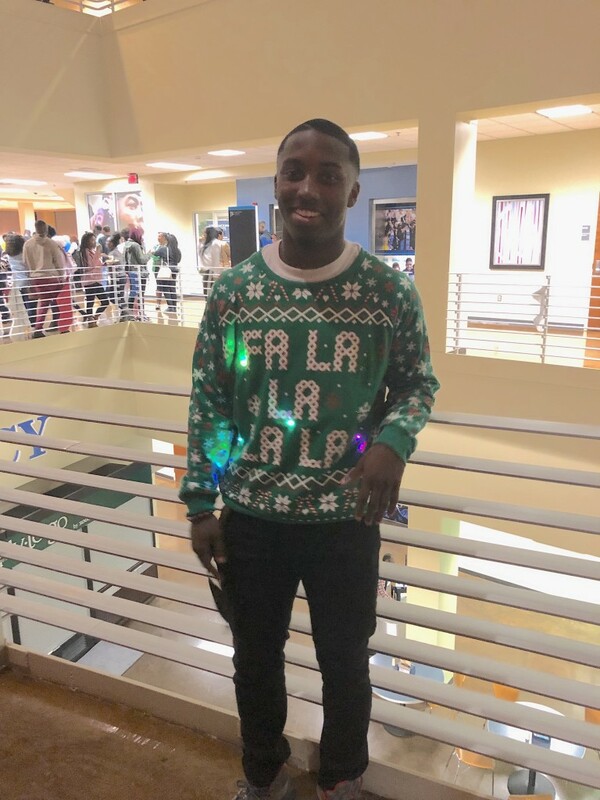 Freshman, sported a sweater that he believes matches his personality. 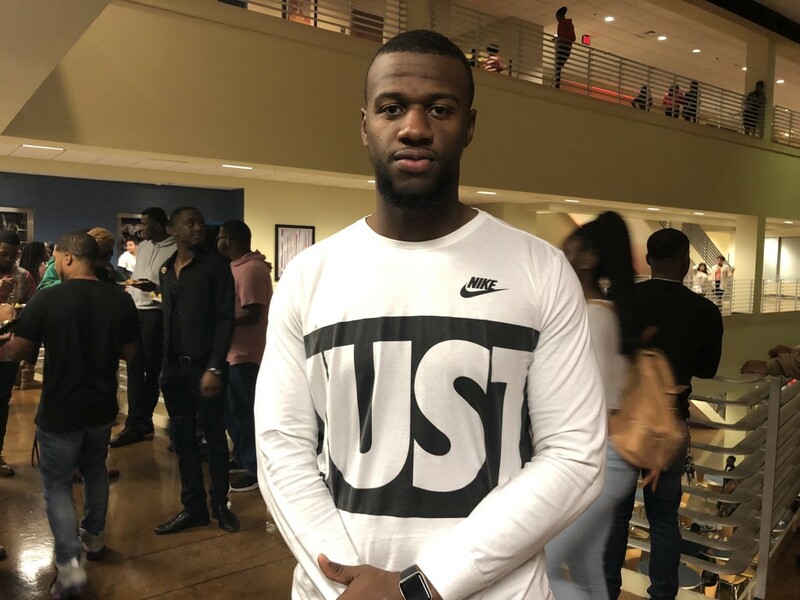 Joining in on the fun was Kahlil Johnson, a junior studying biology/pre-medicine who plays defensive end for JSU Tigers Football.